There is an atmosphere of calm in this property, as you walk in you feel yourself relaxing. It is light and airy with views to the mature woodland garden that makes you just want to sit down with a drink and relax. Strange how each property we review all have their own character, this one definitely has a positive and pleasing holiday feel to it. 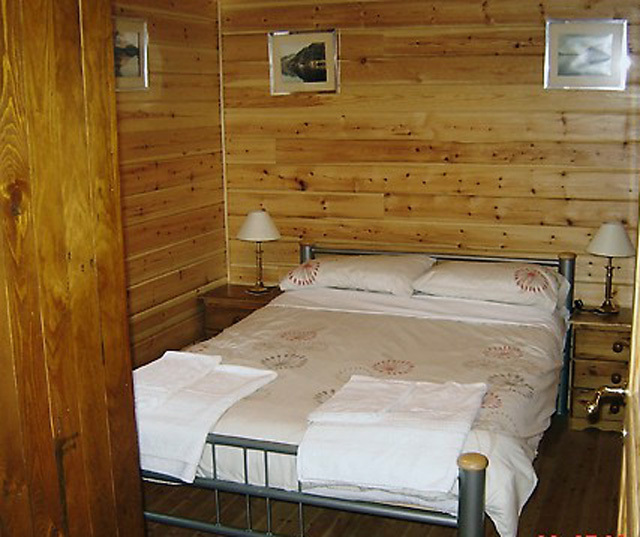 Whoever chooses to stay here will not be disappointed, for the price it is excellent value for money accommodation. If Redkite is your choice for your honeymoon a bottle of champagne will be on ice for your arrival. 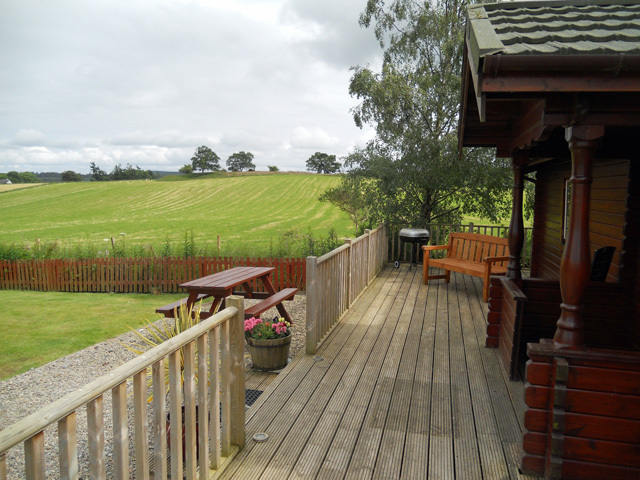 Redkite Log Cabin is aptly named as there is a very good chance that you will see a red kite or two overhead during your stay in this rural location on the Black Isle. During their breeding season, they may also be seen in the nest at the red kite observation centre, three miles away in the Tourist Centre by the Kessock Bridge, you can also see dolphins here at the observatory. Much more bird watching may be done in nearby Munlochy Bay, a haven for many birds. 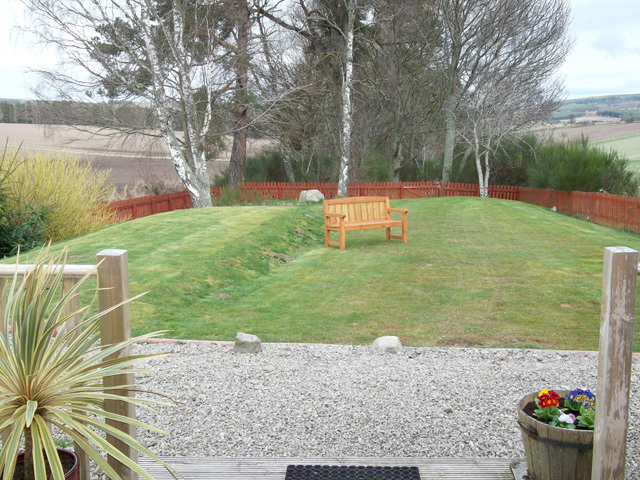 This location is ideal for touring, close as it is to the main routes to all points of the compass - north to John O'Groats and day trips to Orkney - west to the Isle of Skye and all the wonderful beaches of the west coast - east along the Morayshire coast and its extensive beaches - south to the enigmatic Loch Ness - and dolphin watching closer to home in the Moray and Cromarty Firths. Nightlife and retail therapy is well catered for in Inverness, 5 miles south, and for immediate needs, a local shop at 1.5 miles and a pub at 3 miles, should satisfy well. 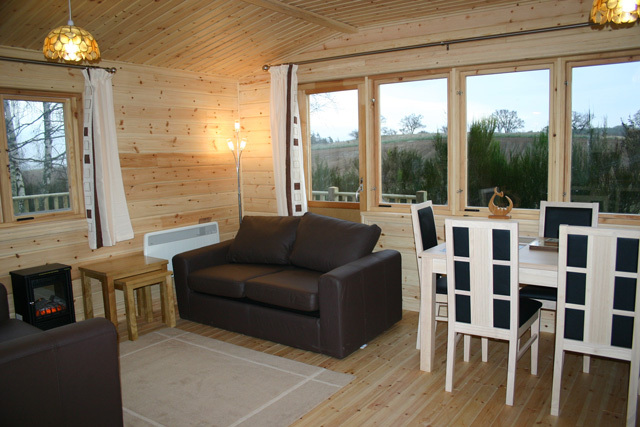 If your heart is set on a holiday in a log cabin and Redkite Log Cabin is booked then why not have a look our similar properties that can be found on the Log Cabins page. Light and airy open plan lounge / kitchen / dining room. Focal point electric fire and radiators. TV with Freeview / DVD / CD / DAB radio. Broadband internet is available, please bring your own laptop. 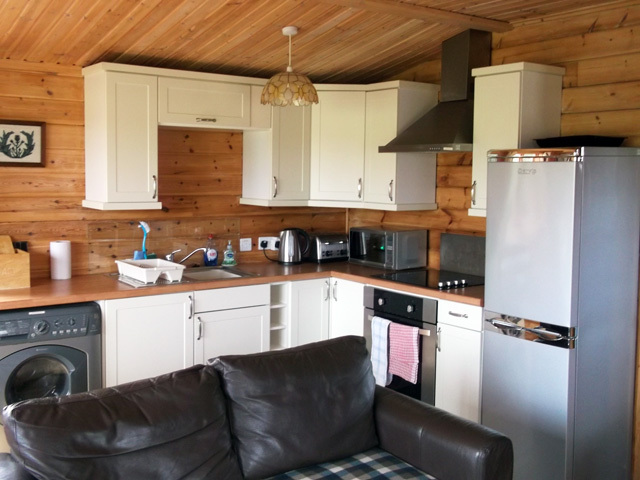 Kitchen with electric oven and hob, microwave, fridge and freezer, washer/dryer and ironing facilities. Shower room with double shower and heated towel rail. Electricity is extra by £1 coin meter. A £75.00 Good Housekeeping Deposit is required. Value for money holiday destination. High quality accommodation at value for money prices. Excellent base for touring and relaxing. 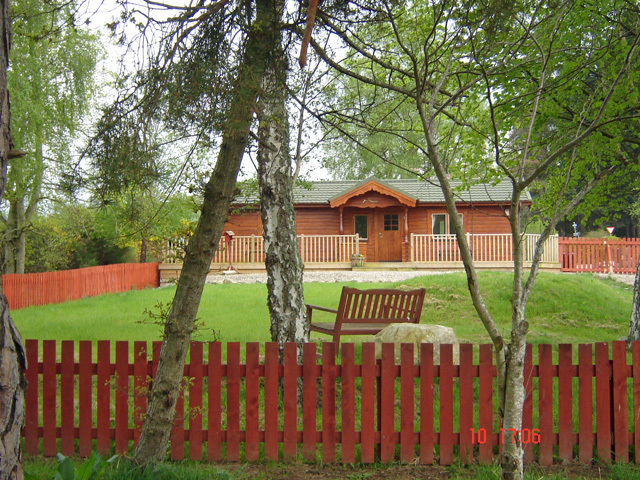 Excellent Log Cabin with all the facilities you need for a great holiday. 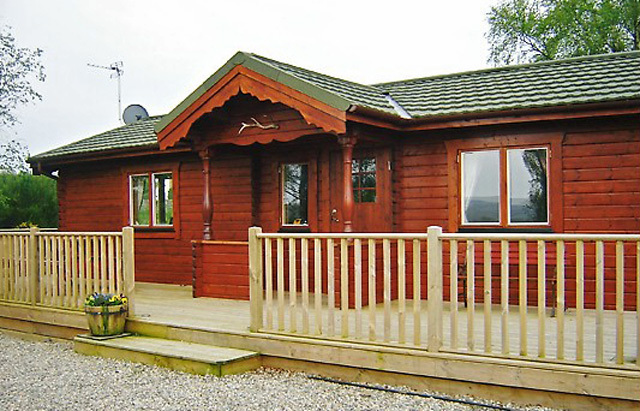 Ideally situated for easy access to all the North of Scotland has to offer. Very friendly owners who took time to welcome us and talk to us during our week. Would love to stay there again!! What a wonderful week we had at this cabin. Red Kite was cosy and comfy and had everything you could need, home from home except that the views were much better. Paul and Margaret made us most welcome leaving us a few treats on our arrival. We will certainly return at a later date.